COLLEGE PARK, Maryland, June 1, 2018 (ENS) – The Atlantic hurricane season officially begins today, and the Climate Prediction Center of the National Oceanic and Atmospheric Administration, NOAA, is forecasting a 75 percent chance that the 2018 season will be near normal or above normal. 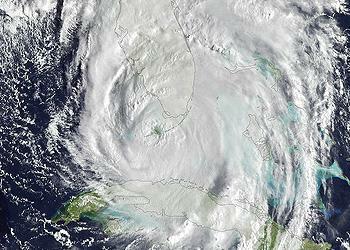 An average hurricane season produces 12 named storms, of which six become hurricanes, including three major hurricanes. NOAA forecasters predict a 35 percent chance of an above-normal season, a 40 percent chance of a near-normal season, and a 25 percent chance of a below-normal season for the upcoming hurricane season, which extends from June 1 to November 30. “With the advances made in hardware and computing over the course of the last year, the ability of NOAA scientists to both predict the path of storms and warn Americans who may find themselves in harm’s way is unprecedented,” said Secretary of Commerce Wilbur Ross. “The devastating hurricane season of 2017 demonstrated the necessity for prompt and accurate hurricane forecasts,” said Ross. The three big hurricanes of 2017 – Harvey, Irma and Maria – are now three of the five costliest hurricanes in U.S. history, according to NOAA. The storms brought death and destruction to Texas, Florida, Puerto Rico and the U.S. Virgin Islands. Hurricanes are a force of nature that can be tracked only by satellites, which provide up-to-date imagery so that authorities know when to take precautionary measures. Satellites deliver information on a storm’s extent, wind speed and path, and on key features such as cloud thickness, temperature, and water and ice content. This season NOAA forecasters predict a 70 percent likelihood of 10 to 16 named storms (winds of 39 mph or higher), of which five to nine could become hurricanes (winds of 74 mph or higher), including one to four major hurricanes (category 3, 4 or 5; with winds of 111 mph or higher). The possibility of a weak El Nino developing, along with near-average sea surface temperatures across the tropical Atlantic Ocean and Caribbean Sea, are two of the factors driving this outlook. While we currently have no El Niño or La Niña conditions in the Pacific Ocean, these factors are set upon a backdrop of atmospheric and oceanic conditions that are conducive to hurricane development and have been producing stronger Atlantic hurricane seasons since 1995. 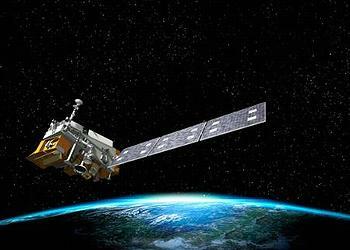 * – NOAA’s fleet of earth-observing satellites increased by one with the launch of the GOES-17 satellite in March. This satellite, along with the GOES-16 satellite – now GOES-East – contribute to a comprehensive picture of weather throughout the Western Hemisphere, allowing forecasters to observe storms as they develop. * – The new polar-orbiting satellite, NOAA-20, will join the NOAA/NASA Suomi NPP satellite and use a suite of sophisticated instruments to gather high-resolution data from around the globe to feed NOAA’s weather models, driving the three-to-seven day weather forecast that is critical to preparedness and effective evacuations. “NOAA-20 is especially beneficial for tracking developing storms in the Arctic, Alaska and Antarctica. Forecasts for these remote regions are critical for the U.S. fishing, energy, transportation and recreation industries, which operate in some of the harshest conditions on the planet,” said Neil Jacobs, PhD, assistant secretary of commerce for environmental observation and prediction. * – The National Weather Service will run a version of the Global Forecast System with a new dynamic core alongside the current GFS model during the 2018 season. This will mark the first dynamic core upgrade to NOAA’s flagship weather model in more than 35 years. * – NOAA’s hurricane-specific model – the Hurricane Weather Research and Forecast system – will be upgraded to offer greater resolution than ever before, increasing model resolution from 1.2 miles to 0.9 miles (2 km to 1.5 km) near the center of a storm. * – The Hurricanes in a Multi-scale Ocean coupled Non-hydrostatic model was first implemented in 2017 and will undergo upgrades for the 2018 season to include greater resolution, new physics and coupling with ocean models. * – NOAA’s National Hurricane Center will make the Arrival Time of Tropical-Storm-Force Winds graphics operational for this hurricane season. One graphic displays the “earliest reasonable” arrival time of tropical-storm-force winds, at which point further preparedness activities could be hindered. A second graphic displays the “most-likely” arrival time of tropical-storm-force winds. “Do you have adequate insurance, including flood insurance? Does your family have a communication and evacuation plan?” asked Kaniewski. In addition to the Atlantic hurricane season outlook, NOAA also issued seasonal hurricane outlooks for the eastern and central Pacific basins. An 80 percent chance of a near-normal or above-normal season is predicted for both the eastern and central Pacific regions. The eastern Pacific outlook calls for a 70 percent probability of 14 to 20 named storms, of which seven to 12 are expected to become hurricanes, including three to sevem major hurricanes. The central Pacific outlook calls for a 70 percent probability of three to six tropical cyclones, which includes tropical depressions, tropical storms and hurricanes.